Being Green is not always as straight forward as you may think. 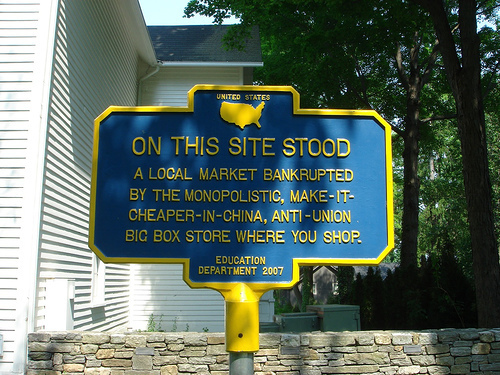 Help support your local markets before they all end up like this. The changing world needs to take a look back and learn that the greatest civilizations were doomed because they did not care enough about little things like this.